The city of Emmen is located in the province of Drenthe, the Netherlands. Its borders encompass nearly 350 square kilometers, and have a population of slightly more than 100,000 people as of 2013. Emmen has seen significant growth in the last 150 years. In the 19th century, there were only about 3,000 people living in the area. Emmen is known as what is called a planned city. In other words, it did not just spring up by accident but was rather planned out deliberately and carefully before it’s founding. The city was made up of a number of individual farming and peat harvesting communities. Such communities have been in the province of Drenthe since the Middle Ages. There are very few old landmarks left in the city. One of the only buildings of note is the church located in the town square. History dates there being a church building on this location since the Middle Ages. There has been a Jewish presence in Emmen since about 1840. In that year, Jews moved into the district and began trading with the local peat farmers. Soon a large Jewish community was present in the city, and a synagogue was constructed in 1878. During the World War II, all of the Jews were deported from Emmen and most are reported to have died in the death camps. The synagogue was used by the Germans as a warehouse, and so survived destruction during the war. 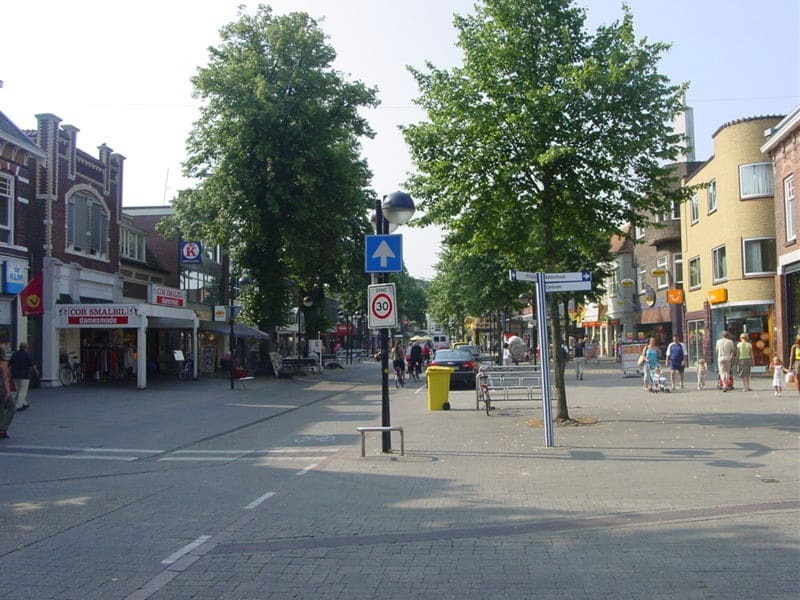 Following the war, the few surviving Jews moved back to Emmen and began to rebuild their community. The synagogue, which was damaged by a bomb during the war, was repaired and is still in existence today, where a monument is has been erected in memory of those who lost their lives. The city of Emmen struggled financially, but was given a significant boost with the opening of the Dierenpark Emmen, a zoo, in the 1980’s. The zoo has since been expanded and currently attracts nearly 1.5 million visitors a year. There are also several industries operating within the city and within the municipality there are approximately 38,000 jobs being provided. Other attractions include a yearly bike race, called the Gouden Pijl, has been held since 1976 and has grown to include both a men’s and women’s race. Though not perhaps the most historically significant city in the Netherlands, the city of Emmen is nonetheless an important one and worth a stop if you are planning a trip in the area.